James Callaghan - Page 2 of 14 - Father, blogger, consultant, SharePoint, Azure, Office 365 and PowerShell specialist, troubleshooter, geek, home brewer and would be amateur chef. With most of the house HUE’d up, I thought I would add Hue lighting under the cupboards in our kitchen. I love cooking but am often frustrated because of the poor lighting on the work surface in the kitchen. The trouble is the Philips Hue LED kit is only available in two sizes, the 2m main kit and in 1m extensions. Our kitchen cupboards are split in two by our cooker hob extractor. This leaves me with cupboard lengths of 1.4m and 1.6m. I did some research but could not find an extension lead for the Philips Hue lightstrips so rather than shedding out on two kits, I decided to hack together a solution to create my own extension lead. Appreciating the risks and potential cost of replacement involved if I failed, I took off and carefully hacked my own extension lead together. Below is a list of what you’ll need to do this yourself and the steps involved to make your own extension lead for your Hue lightstrips. Optional staple gun to tack the leads to the cupboards. The tools you’ll need to create the extension lead. 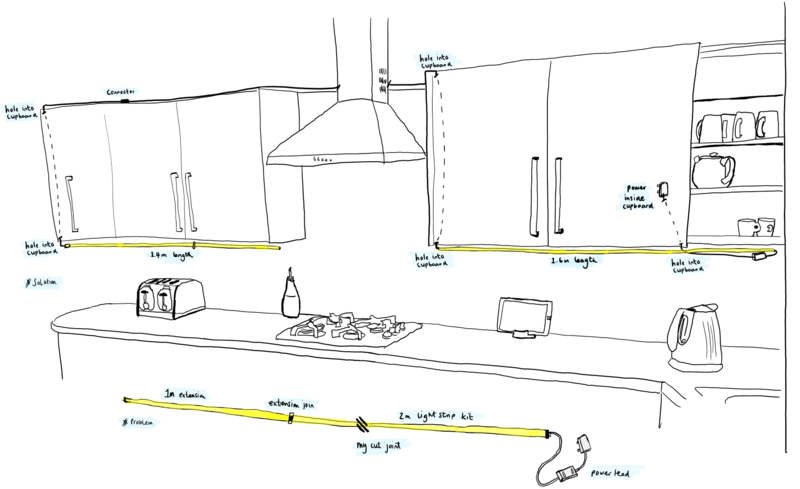 Plan and test the placement of your lightstrip and where you will attach the extension lead. Work out the route of your extension lead – in my case I went through the backs of the cupboards and then up and over the top of my extraction fan. This required few holes to be drilled into the cupboards. Prepare your extension lead. Strip and tin each of the with with the soldering iron. Decide if you will include a connector to allow you to separate the extension lead from the lightstrip. If you are going to add one, cut, strip and crimp the wires with your connector – in my case I used a set of spade terminals. Grandad always said measure twice cut once – so run through your placement and cabling route once more. And don’t be silly – remember to power off the lightstrip before the next step! Cut the lightstrip at the nearest cut joint because this is where we will solder our extension lead wires onto. Carefully cut back some of the outer plastic on the lightstrip so that you can solder your wires onto the terminals. Make sure you don’t forget to include some heat shrink to protect these joints once you have terminated the wires. Test the lights work correctly before fitting in your desired place. Tip! If placing under cupboards, place the lightstrip at the back for the best effect. Optionally use a cable staple gun to tack the extension lead throughout its route to make it extra secure. Grandad always said, measure twice cut once. 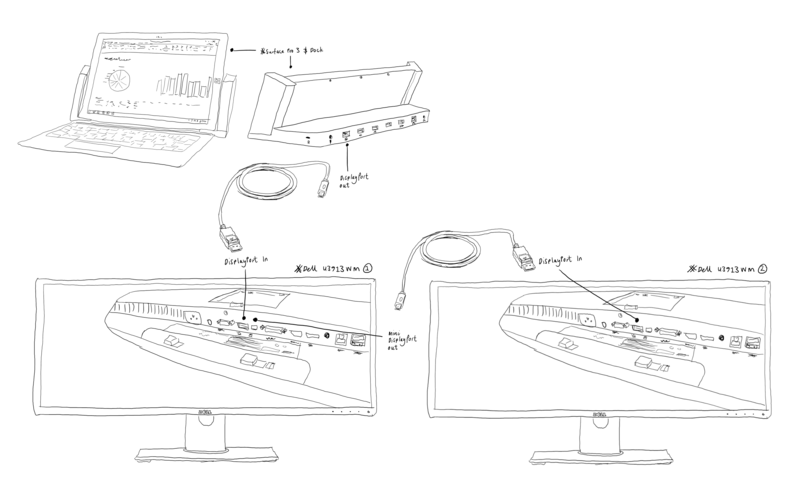 Philips could avoid this problem altogether and avoid any hacking at all. Firstly they should offer an official 6 core extension lead. Secondly, they could alter the cut joint they include at various points throughout the lightstrip. Making each cut joint made up of a male and female connector under the plastic. To extend the lightstrip you would then simply cut over the joint and use the official Philips Hue lightstrip extension lead. The extension lead would have a male and female connector at each end, allowing you to simple connect it to the section you have just cut. That aside, kudos to the Philips team for creating amazing lights and for placing cut joints throughout the lightstrip. This made my hack so much easier to pull off. The Philips Hue light strip at it’s brightest. I’m really impressed with the outcome of the Philips Hue LED lightstrips and my custom extension lead hack. I hope you find this article helpful and it inspires others to extend Hue lightstrips more easily. 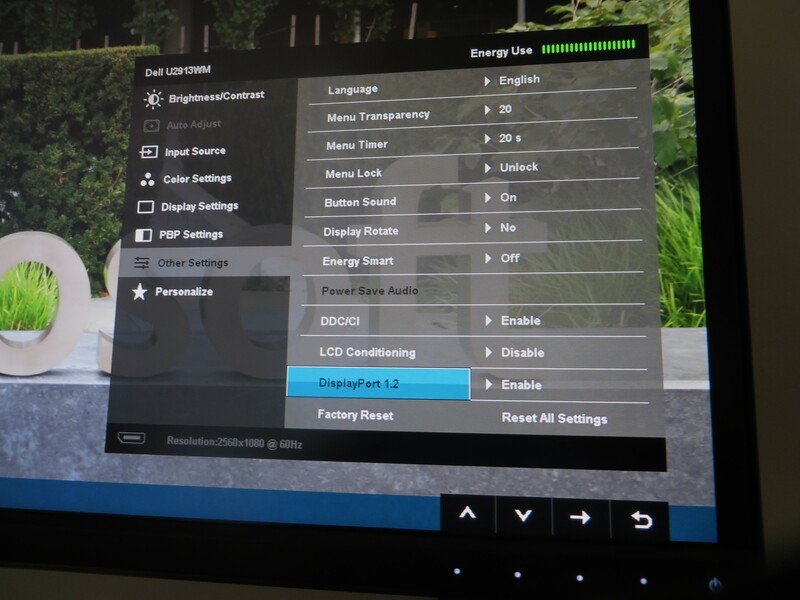 This post is part of my home automation series. If you liked this hack, be sure to check out some of my other home automation hacks. Almost ten years ago I was lucky enough to be invited by my college to attend a Microsoft conference called “A Glimpse into the world of a computer scientist”. It was held at the Microsoft Research building in Cambridge. Can you remember something you were doing ten years ago? 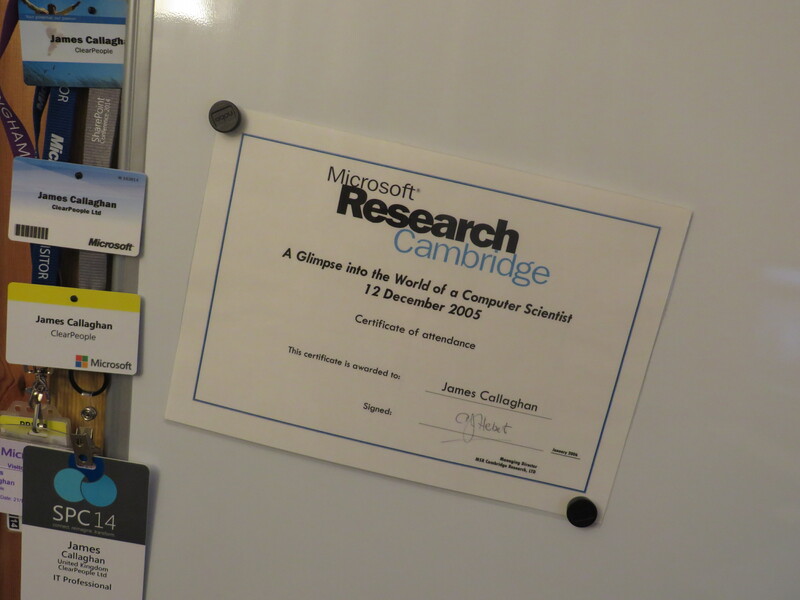 My certificate of attendance to “A glimpse into the world as a computer scientist”, a conference held at Microsoft Research in Cambridge. The conference gave me grant insight into Microsoft and the world of computer science. Frankly it was rocket fuel and really kick started my career off in IT! I volunteered to participate in a research project discussed during the conference. My family and I were selected a help test a product called the Whereabouts Clock (pictures below) – imagine the Harry Potter clock! A few months later we were working with a Microsoft Research Employee called Alex Taylor – a researcher in the Socio-Digital Systems team. The clock was designed to display the whereabouts of everyone in the family. This was achieved through location data transmitted from smartphones and shared with an application. Each member in the family were then placed in a pre-defined segment of the clock, Home, Work or School. 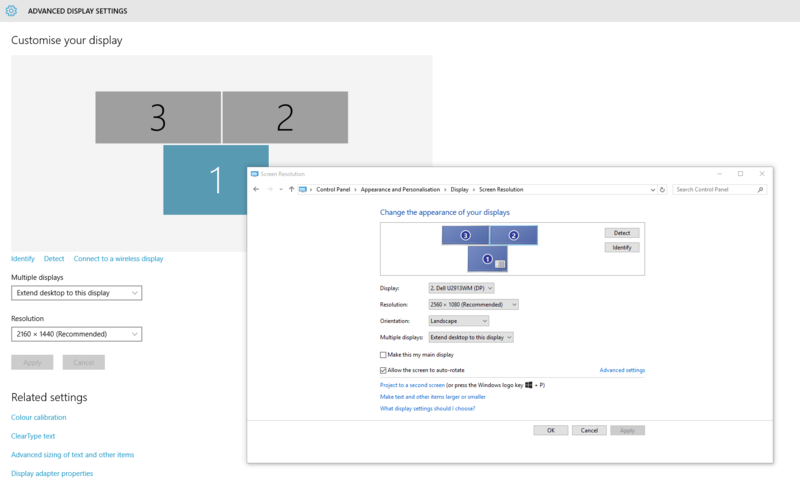 You can read more about the Whereabouts Clock on the Microsoft Research website. Scarily ten years have passed. While Microsoft never released “The Whereabouts Clock”, their work directly or indirectly can be seen on the smartphones in our pockets today. 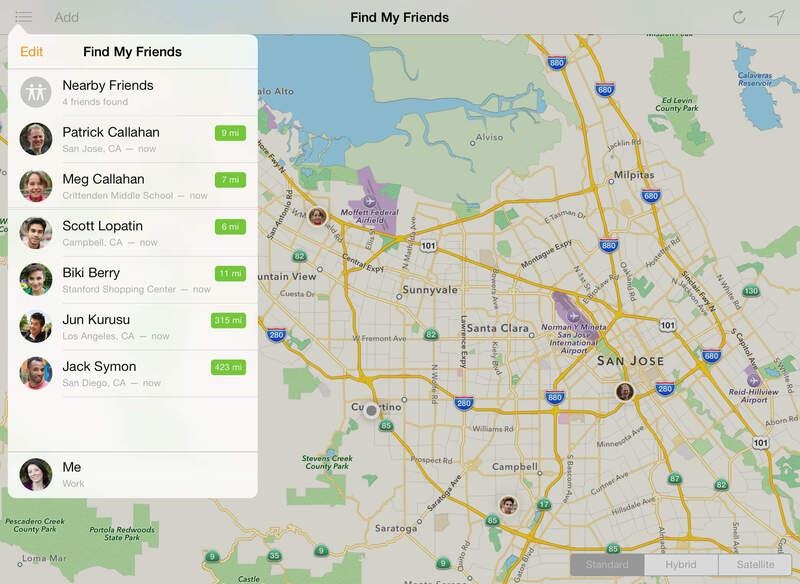 Google launched their Latitude app, although this has now been retired, Apple have their Find my iPhone and Find my Friends apps (picture above) and Microsoft have their Find my Windows Phone. Other applications exist to manage scenarios similar to those of the “Whereabouts Clock”, one such example is Life360 Family Locator. 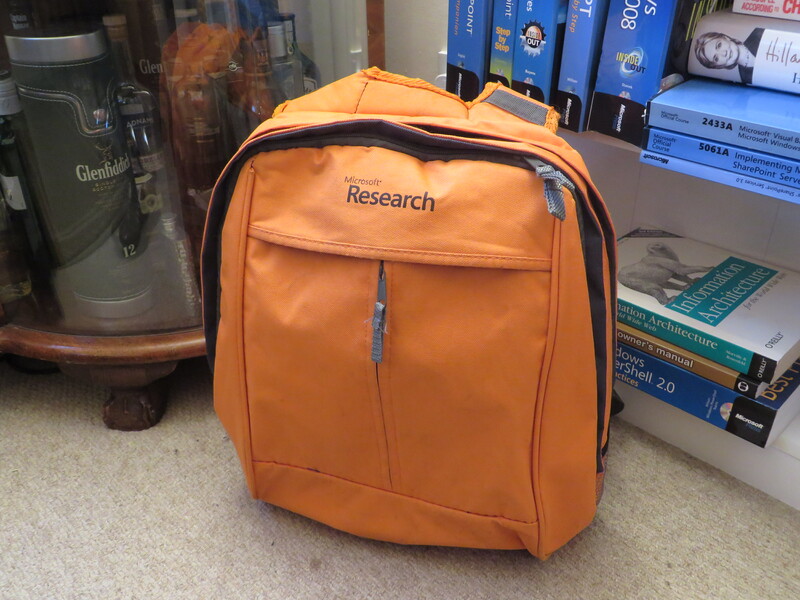 Ten years on, I also still have my bright orange Microsoft Research bag (picture below) – you know how much I like my bags! I still have my Microsoft Research conference bag ten years on! Back in February I got my dream blue badge and started my new job with Microsoft. working in the Microsoft Consulting Services (MCS) group. I emailed Alex a few days ago, ten years on he still remembered me and my family and the research we did with him. He was so happy to discover I’m now working for Microsoft! Alex still works for the Microsoft Research in Cambridge. I hope to meet him in person soon as he has kindly offered to give me a tour of the labs in Cambridge. 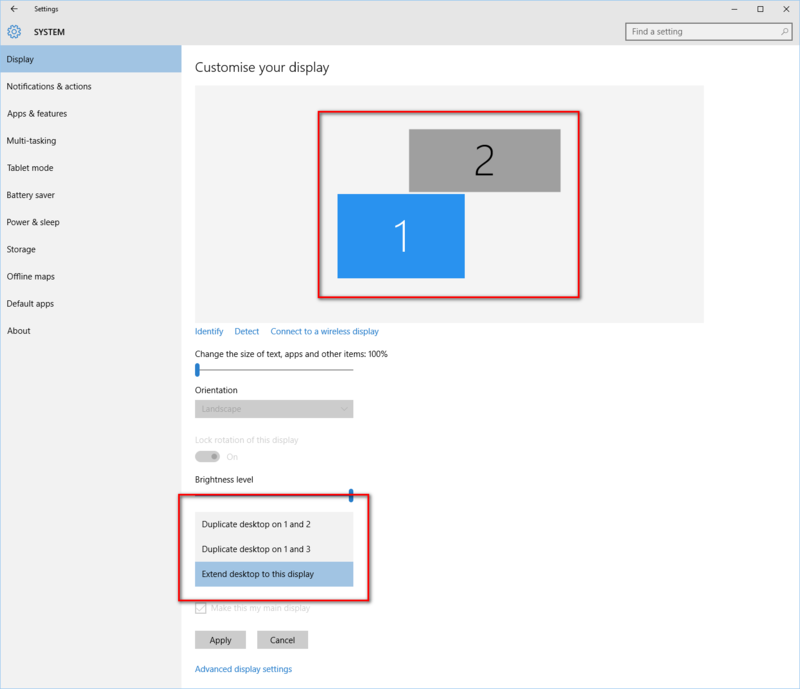 I’d like to leave you with one last message, inspired by a wonderful article published by Scott Hanselman when he was hired by Microsoft. I was particularly lucky to attend the Microsoft Research conference in 2005 and to be involved with “The Whereabouts Clock” research. But all that aside, I worked very hard at college and spent the last ten years working equally as hard developing my career, doing something I thoroughly enjoy and am passionate about (see Scott’s dream job Venn diagram in his post). All this enabled me to achieve my dream to work for Microsoft – thank you to all those who have helped me along the way – massive kudos to those who have helped me along the way such as Marshall Aerospace and ClearPeople. If you have dreams – don’t stop believing in them! Update (31/01/15): Session spreadsheet updated and now includes 275 sessions. Those involved with SharePoint, Office 365, Yammer, the communities and the wider industry will already know about the Ignite conference Microsoft have planned for May this year. 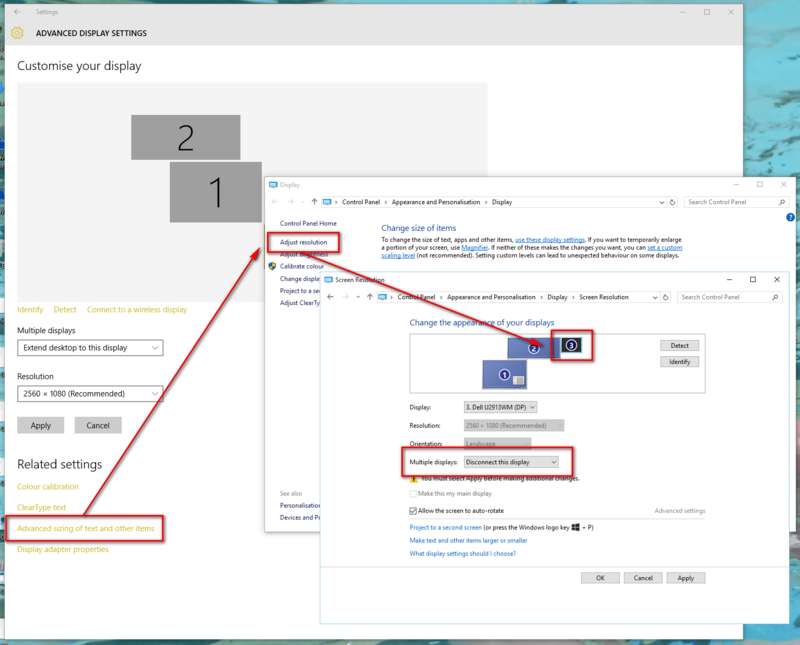 Microsoft published the conference sessions on the Ignite website this afternoon, introduced through this Office Blog post. The Office Blog post included a video from Julia White in which she shared what to expect from the conference. She also said in the video “without giving away too much, be the first to see a lot of new technology”, hinting that we will probably see the next versions of SharePoint and Exchange etc. The SharePoint Twitter account also shared the tweet below, with another video (#InBillWeTrust) confirming the next version of SharePoint (SharePoint 2016) will be shared during the conference. The conference is just around the corner. At the time of writing this post, there are 272 sessions published on the website and I’m sure this will increase in the coming weeks and months. Over a year ago, I created a PowerShell script to help myself and others easily review all the sessions that were planned for the then SharePoint Conference (#SPC14). You’ll be pleased to know I’ve done something similar again this year, although this year I’ve quickly gone about it using jQuery. I plan to create and share a bookmarklet but until then I’ve shared the first Ignite sessions spreadsheet for your viewing. The latest version of the sessions spreadsheet and jQuery bookmarklet are shared below. Fingers crossed I can attend #MSIgnite and have the opportunity to meet the great people I met at #SPC14 again! Ok, it’s time for me to confess that I like a man bag or two. 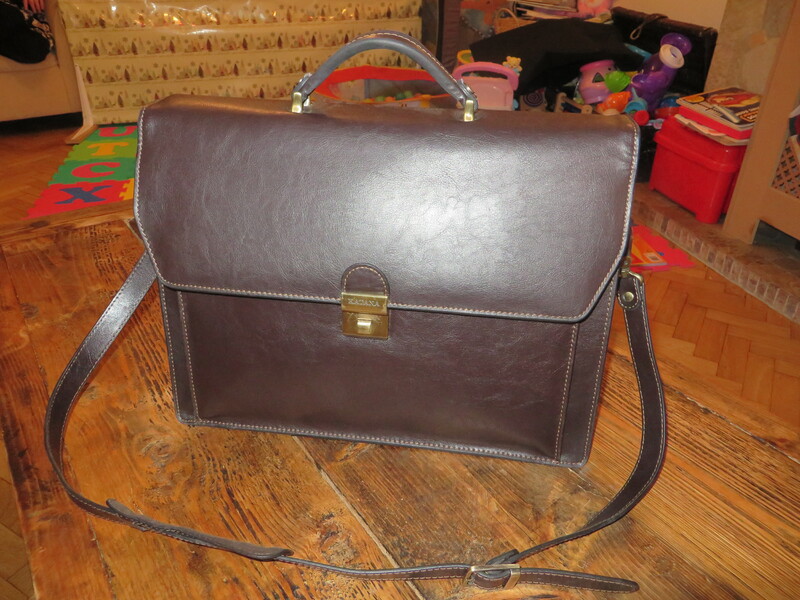 I really appreciate a stylish and high quality bag and have to admit I have a few. I don’t buy them at a rate like my partner does (along with her shoes) but when that time arises, I take a trip to France! 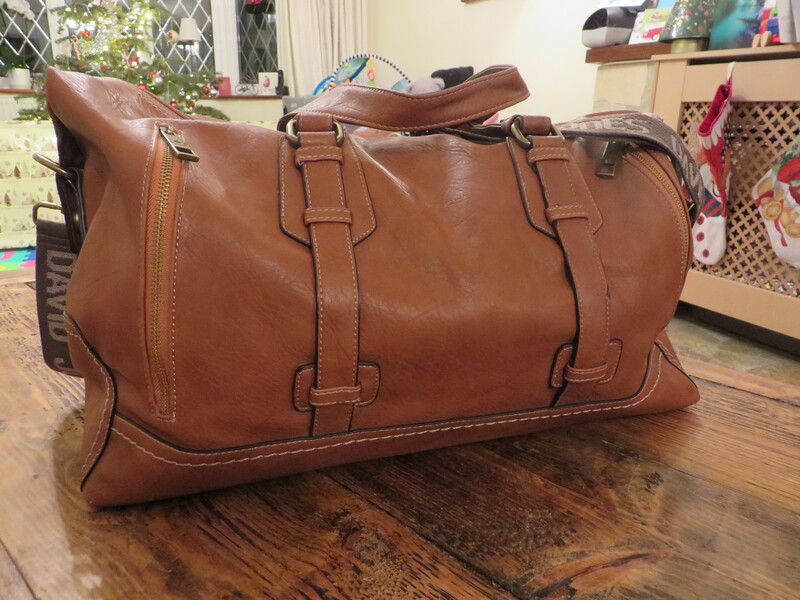 Join me in this post to discover my various bags and what’s in them bag – inspired by one of my favourite blogs Lifehacker. Inspired many years ago by the various stories of ‘Featured Bags’ from Lifehacker and ‘What’s in our bags’, I’ve always wanted to write one of these posts for myself at the right time – that time is now! 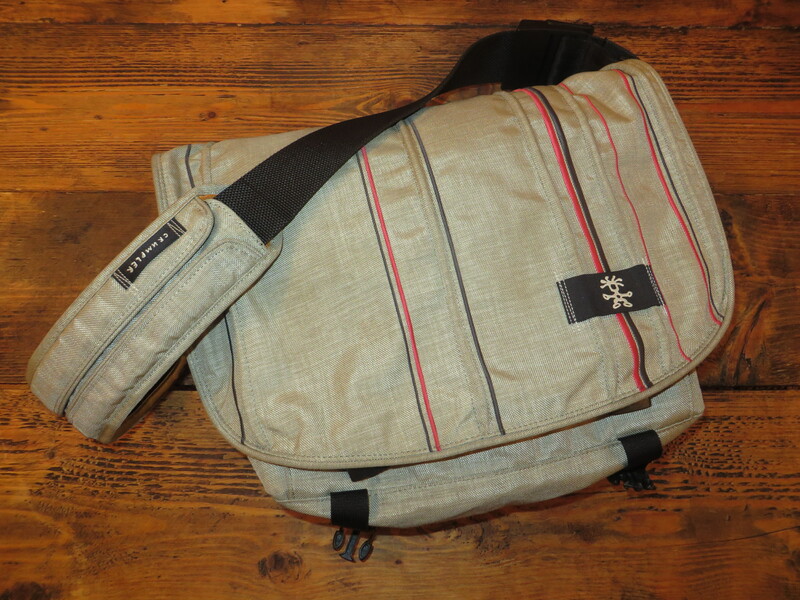 I have two French laptop bags, an overnight bag and a Crumpler Good Boy 13″ sling bag. 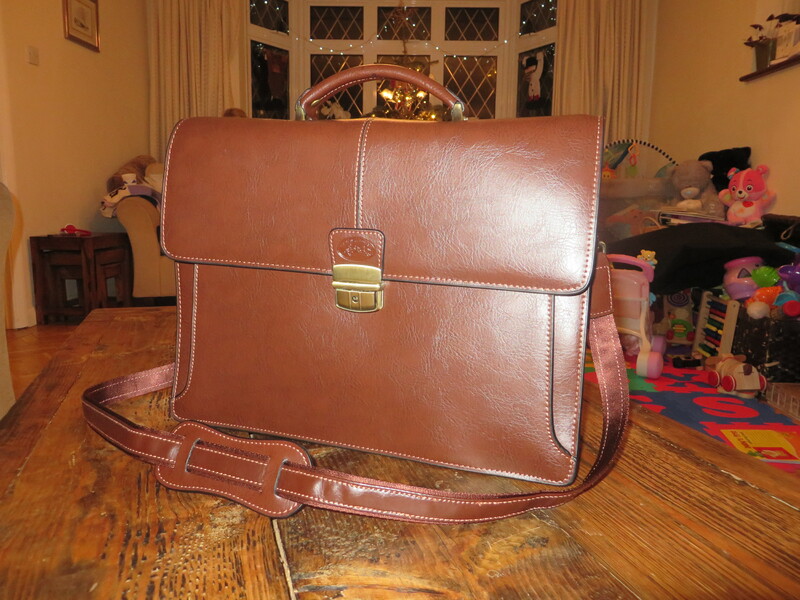 My favourite is the smaller, more recent laptop bag. I received this for Christmas from my girl friend (thank you, thank you, thank you) along with the overnight bag. They’re both from the same town in France where I brought my first laptop bag a year or so ago. Where do they come from? Well the Crumpler I brought in the Crumpler store on the Strand, London a few years back. The other bags…I cannot say. It’ll give away my secrets – I can say though that they came from France! Pens. Pens. Pens. Particularly my Parker fountain pen and a really good white board marker. Welfare stuff like tissues, hand cleaner, wet wipes and some Nurofen! Peter Rabbit and Paddington Bear – when I travel I like to take pictures of these two in front of recognisable and special places to send to my daughter. There you have it…my bags and what’s in them.